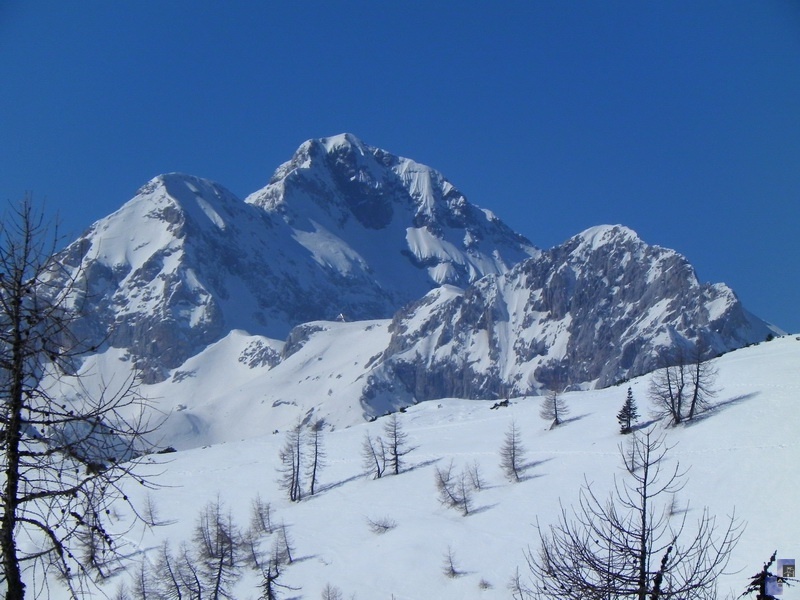 Enjoy the beauties of Alps and Adriatic Sea, Unesco sites and walk through historical towns…. Visit the 4 countries of the former Yugoslavia in just 13 days! Discover the impressive caves in Slovenia, the Croatian town of Motovun, where the best truffles in the world are found, see many UNESCO sites like Plitvice lakes, historic, unique city of Zadar, Split, Trogir, the sunniest island of Hvar, the old stone bridge in Mostar and enjoy swimming the crystal-clear Adriatic Sea. Overnight in Ljubljana apartments Tour As (breakfast included). Ljubljana sightseeing: 3 hour walking tour of the old town between castle hill and the river Ljubljanica. We will explore medieval Ljubljana and Ljubljana Castle; discover its baroque and secession architecture and the works of the architect Joze Plecnik. After the tour you will have a free time for relaxation or to take a panoramic boat tour along the Ljubljanica River. Overnight in Ljubljana in apartments Tour As (breakfast included). In the morning we will drive to Lake Bled to admire beautiful Alpine lake with its charming island in the middle and castle 130 meters above the lake. We will continue our drive deeper into the Julian Alps to explore another Alpine pearl - Bohinj and Triglav National Park. We will go up to the well-known winter ski resort Vogel (1922 m) by cable car and enjoy the panoramic view of untouched nature and the highest mountain peaks in Slovenia. We will arrive to Ljubljana in the late afternoon. After the breakfast we will drive to visit the oldest Slovenian town Ptuj and the second largest Slovenian town Maribor. Both cities are located in eastern Slovenia on the Drava River. In Ptuj we will explore treasures dating back in time of the Celts and Romans. We will continue our tour towards Maribor, where we visit the Old Vine, the Guinness Book of Records -certified oldest grape vine in the world and where we will enjoy a wine-tasting session. Overnight in apartment apartments Tour As (breakfast included). This morning we will leave Ljubljana and head towards the caves. You can choose to visit Postojna caves - today the known parts of the Postojna spelaean system comprise 21 km, which means that Postojna Caves is the largest show cave of the Classic Karst in Europe. Or we can visit UNESCO site in Slovenia - Škocjan caves which are proud of its biggest underground canyon in the world with Reka River running through it. At 12.00 we departure from caves and stop in a small village Hrastovlje, which is known for its Romanesque church of the Holy Trinity frescoes, listed under the World Heritage List. At 14:00 we stop in a small picturesque town Motovun in Croatian Istria to taste traditional homemade truffle delicacies, by which the valley of the Mirna River is well known. In the afternoon we will arrive to Rovinj - The Old Town is where life started on what used to be an island secured by medieval walls, the largest monument in the city, the Church of St. Euphemia is a Venetian Baroque building restored between the 1725 and 1736. The bell tower was designed by the Milanese architect Alessandro Monopola, a replica of the Church of St. Mark in Venice. At 18:00 late afternoon walk around the old town and up to the church to admire great sunset. Overnight in Rovinj at La Casa di Loreto apartments - breakfast not included, but restaurants and bakery are nearby. 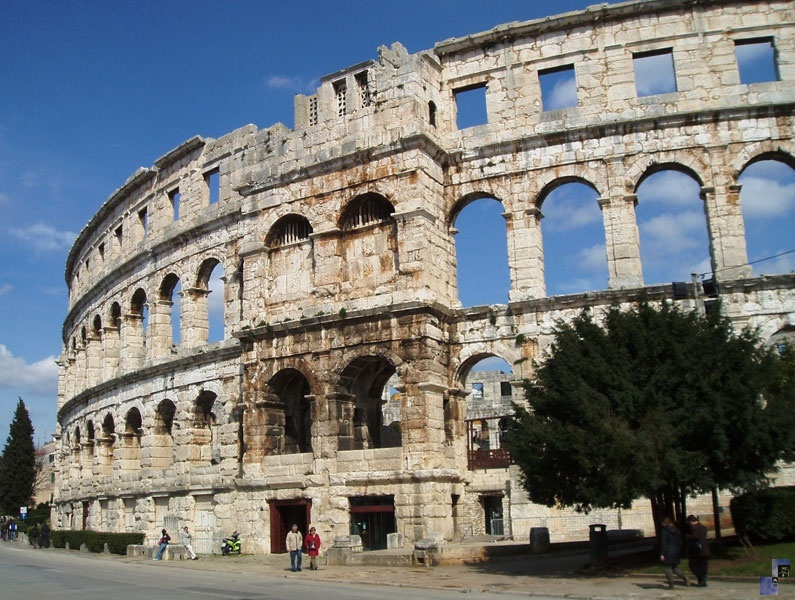 At 9.00 we arrive to Pula to visit the famous Roman amphitheatre. After short walk around the amphitheatre and the town (and possible to take time for a coffee break) continue driving towards Plitvice lakes. At 13:00 we start our tour around Plitvice lakes - one of the most popular sites in Croatia that is also under UNESCO heritage. 16 big and small lakes and 92 waterfalls form one of the most magnificent sites in the world. Overnight in ethno apartments Plitvice selo - breakfast not included, but restaurants and bakery are nearby. At 10:30 departure from Plitvice towards Dalmatia and first stop in Zadar that used to be capital of the Dalmatia. Admire the Sea Organs and Sun salutation with medieval churches of St. Donatus and St. Anastasia and admire old Roman Forum. Continue to Šibenik that is extremely proud of its UNESCO protected cathedral of St. James and medieval town surrounding it. At 14:00 arriving in Zadar and start private sightseeing tour with local guide. At 17:00 arriving in Sibenik and start private sightseeing tour with local guide. At 20:00 arriving to Trogir and overnight in Aparthotel Bellevue Trogir – breakfast included. In the morning we will continue with private guided tour with a visit of Trogir (a UNESCO site) - charming medieval Renaissance town built on a small island squeezed between the mainland and island of Ciovo. Admire the famous cathedral st. Lawrence and city walls surrounding the old town. In the evening we return to Split for a guided tour of the old town with a visit of the Diocletian’s palace, Cathedral St. Duje, Riva. 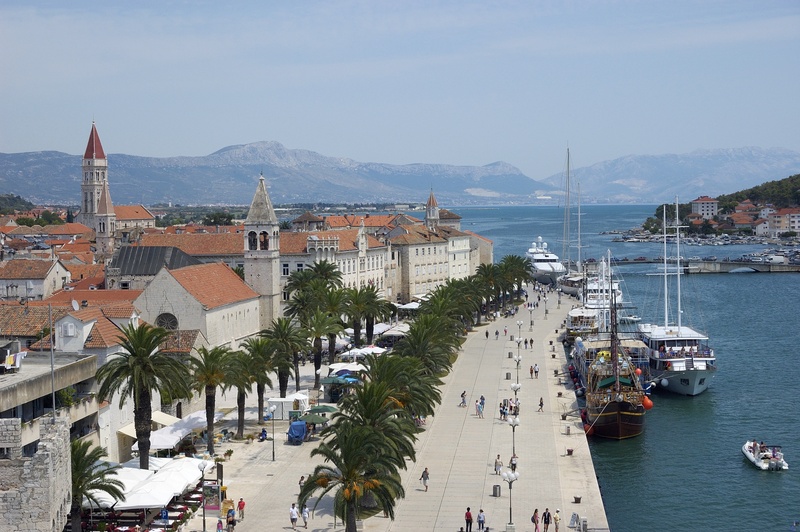 At 10:00 private 5 hour sightseeing tour of Trogir and Split. At 15:00 possible free time for lunch or walking around Split. Late afternoon/evening return to Trogir. Overnight in Aparthotel Bellevue Trogir – breakfast included. In the morning we will take a ferry to Hvar island which is one of the most famous along Dalmatian coast. Upon arrival to Hvar we will visit Stari Grad and area that was settled by Greeks in 4C BC and is today protected by UNESCO. In the afternoon we head to Hvar town to visit one of best protected towns on Dalmatian islands. Overnight in Hvar private apartments Sea View house – breakfast included. After breakfast we drive through Hvar island towards Bosnia & Herzegovina to visit Mostar to admire town where east meets west along Neretva river across which beautiful bridge of Mostar was built. 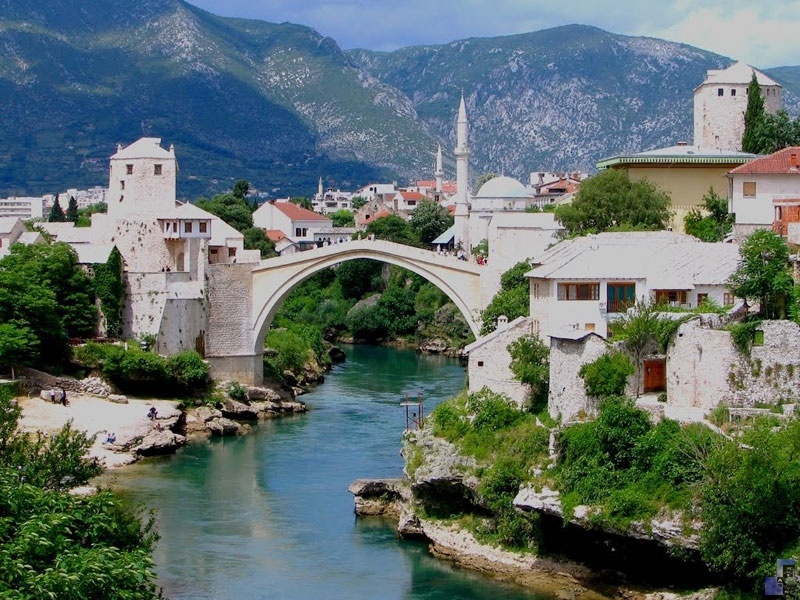 Bridge gave Mostar its name (mostari-bridge toll colectors) and is since 2007 protected by UNESCO. In the morning short stop at Pocitelj beautiful "Turkish" looking village also under protection of UNESCO (together with Mostar) and continue our drive along Neretva river to admire millions of mandarin trees before we reach Dubrovnik late in the evening. Overnight in Dubrovnik private apartments Villa View house (with private terrace and superb view on town, but quite a lot of stairs to reach the old town, possible to have a transfer) – breakfast not included, but restaurants and bakery are nearby. Full day to admire Pearl of Adriatic - UNESCO protected Dubrovnik - surrounded with 2 kilometres long defensive walls and with one of the best preserved old city centers in the world. During the day 2 hour private sightseeing tour with a local guide - outside visits of the Rector Palace, Cathedral, Franciscan monastery, old port etc. 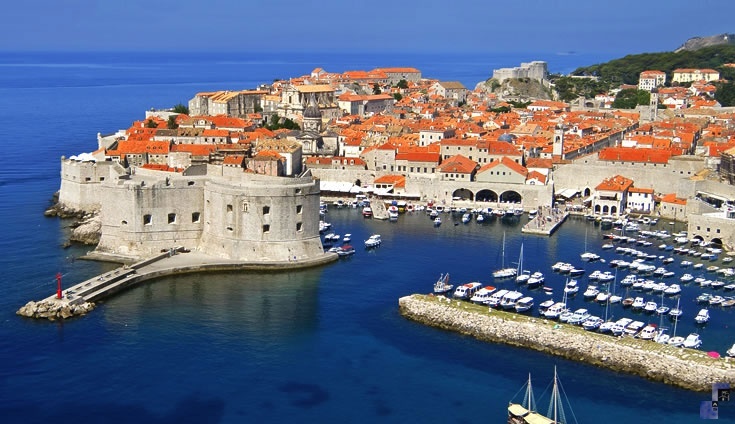 After the tour you will have a free time to explore Dubrovnik walls, museums, have a lunch or maybe even to take a tour to nearby Lokrum Island. After the breakfast day tour to Montenegro. Visit of the biggest fjord in Adriatic - Boka Kotorska with st. George and Lady of the Rocks island in front of Perast. Continue to Kotor - also UNESCO protected site with more than 5km long wall surrounding it. Continue towards Njegoši for spectacular panoramic ride and arrive to Budva after that. In the evening return to Dubrovnik. Overnight in Dubrovnik (with private terrace and superb view on town, but quite a lot of stairs to reach the old town, possible to have a transfer) – breakfast not included, but restaurants and bakery are nearby. Arrival to Dubrovnik Airport to catch the flight. A professional English speaking tour manager /driver (24/7) with a car (VW Touran, Opel Zafira, Citroen C5, Peugeot Boxer or similar) and including all the expenses for 2700 km. An individual proposition for tours can be prepared upon agreement as well. We can tailor a programme according to guest’s flights arrangement. In some cases different prices and general terms and conditions may be agreed upon. Pursuant to the Slovenian Code of Obligations, TOUR AS reserves the right to cancel the programme in case of force majeure or to slightly modify it but not to the detriment of its content.